What is it that drives a bride and her family crazy as the wedding day draws nearer? Shopping! Running from the designer to the event manager and from the Church/banquet hall to photographers, the whole phase is by no means an easy one. 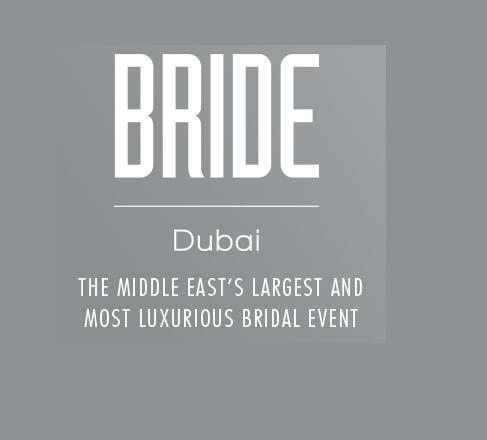 But that doesn’t have to be the case if you live in Dubai, because the Bride Show is a regular feature of the city that has made every bride and her family’s life a little easier. It is an exhibition that brings together event planners, designers, florists and practically everyone who has a part to play in making a wedding successful. The Bride Show is organized by Informa Exhibitions and has been an extremely successful event in Dubai and Abu Dhabi over the years. It celebrated its 10th anniversary in 2007. Attracting over 16,000 visitors each year, the exhibition’s major attendees are women – as much as 93%. - The brides get a chance to meet designers, hair stylists, cosmetologists, wedding planners, wedding photographers and honeymoon guides, among others. - More than 350 exhibitors put up their stalls. - Visitors get to see a host of fashion shows featuring prêt wear, wedding gowns and traditional dresses. - Free advice is given to brides-to-be regarding their look on the big day, the jewelry they should wear and the colors that will suit them. - The management of The Bride Show can also assist in travel, tour and lodging in Dubai for people who come from outside the city. - Various competitions are held and the prizes include things like a bride and groom makeover package, a wedding or engagement party venue, gift hampers etc. The event usually lasts for 3 days. The dates for the event keep changing every year. But in 2015 it is scheduled for 8 - 11 April in Dubai and 28 - 31 January in Abu Dhabi. The tickets can be acquired for free. Visit this link and fill a simple form to be on your way to The Bride Show. If anyone is interested to take part in the event as an exhibitor, they can fill this form, call on the number provided below or e-mail. For more information on contact details for sales, marketing or operations purpose, click here. - Sultan Business Centre, next to Lamcy Plaza, Entrance 3, 3rd Floor, Office 301, Oud Metha, Dubai, United Arab Emirates. Since there’s no metro station nearby, we’d suggest you take a bus in order to reach Sultan Business Center. The closest bus stop to the location is just 80 m away and hardly a minute's walk. Bus numbers 42,44, C4 and C18 will drop you to this stop. Just head southeast from the station and you’ll spot the destination. View Map.